Essential oils have been used for centuries for a wide variety of therapeutic purposes. 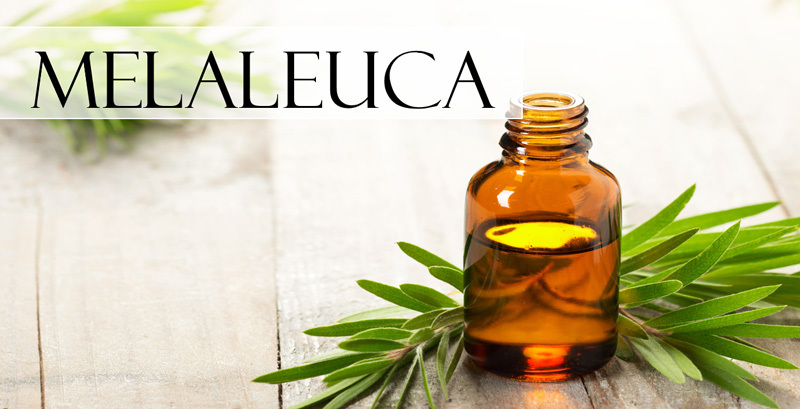 The benefits of essential oils reside primarily in their anti-inflammatory, antimicrobial, and antioxidant properties. These have also grown in popularity because they are natural beauty ingredients with no harmful side effects. These aromatic compounds are usually found in the bark, seeds, roots, flowers, and stems of various plants. They are generally extracted by a steam distillation or cold pressing process. *Essentials oils are, in a sense, a pharmaceutical grade natural remedy with incredible power. With great power comes great responsibility, so always check with a certified herbalist, aromatherapist, doctor or other healthcare practitioner before using. • Can help lessen anxiety, tension, and stress. It can also promote clear, healthy breathing, which helps to ease tension while enhancing mental function. • It can be massaged into joints and muscles to act as an analgesic, reducing pain and aching. • Provides a cooling sensation to the skin and can soothe irritations, mild rashes, and bug bites. • Best known for helping digestion. Using this internally will strengthen your digestive system and ease gastrointestinal issues, including upset stomach. • Promotes better respiratory health, and when diffused or applied topically, it can provide clear breathing. • Can naturally uplift your entire mood. It also reduces fatigue and sleepiness while improving concentration. • Apply one or two drops to the area and dilute the oil with Fractionated Coconut Oil to help avoid skin irritation or sensitivity. • Next time you are cooking, consider adding Cardamom oil to breads, smoothies, meats, and salads to enrich food flavor and to aid digestion. • Before exercising, massage one to two drops onto your chest to maintain vitality throughout your workout, and enjoy the vitality-boosting benefits of Cedarwood oil. • If your child wakes up scared after a nightmare, apply Cedar oil to the bottom of his or her feet to help promote a peaceful, settled feeling. • To reap the immune-supporting benefits of Roman Chamomile essential oil, you can easily add it to your water or a hot beverage in order to take the essential oil internally. • For feelings of well-being, apply the oil to your chest, over the heart. • Provides an invigorating, cleansing experience. • Perfect for every member of the family. • Gently exfoliates with natural oatmeal. • During your nightly routine, add one drop of Cinnamon to two ounces of water and gargle for an effective mouth rinse. • Place two to three drops in a spray bottle with water for a quick and effective cleaning spray. • During the winter months, dilute Cinnamon with Fractionated Coconut Oil and create a warming massage for cold, achy joints. • Acts as a whole body detoxifier and cleanser when blended with coconut oil and massaged into the soles of the feet. • When added to soap, coriander Essential Oil provides a fresh, cooling sensation on the skin. It’s a powerful cleansing oil that also soothes irritations. • Adds a depth of flavor to foods but also has the additional benefit of promoting healthy digestion. • Place two drops of coriander essential oil in a Veggie Capsule and take it internally to experience a cleansing and detoxifying effect that will leave your body feeling refreshed. • Place a few drops of Cilantro oil into a diffuser to help deodorize any room and dissipate the unpleasant aromas in the air. • You can combine Fennel oil with Fractionated Coconut oil for a soothing abdominal massage after a big meal, or on the day of a stressful event. • To take Fennel oil internally, add a few drops to water or another beverage, or add 1–2 drops in a dops Veggie Capsule. • The best oils for treating dry, sensitive, or mature skin that has lost its elasticity. This oil is used to restore skin tone and prevent wrinkles. It also helps reduce scars and stretch marks. • Helpful in the treatment of asthma, bronchitis, coughing spells, sinusitis, colds, and sore throats. • The most valuable Essential Oil for inducing slow, deep breathing, alleviating fear, and developing courage, and emotional strength. It's also an aid for eliminating sadness, anxiety, nervous tension, stress, and nightmares. Mix 5 drops of Frankincense, 5 drops of Lavender, 1/5 tbsp. organic coconut oil and ½ tsp olive oil and mix in a small jar to make a fabulous body butter. • An excellent treatment for upset stomach, nausea, and indigestion. It can also help and prevent morning sickness and nausea in pregnant women. can help stop bacterial dysentery, intestinal infections, and treat the effects of food poisoning. • Often used to reduce inflammation. • When you take a long car ride or drive along winding roads, diffuse Ginger oil in the car or place a drop of Ginger in the palm of your hand and inhale to enjoy its calming, soothing aroma. • Before working out, take a drop or two with water or in a Veggie Capsule to reduce bloating. • Helps to ease feelings of tension. • Cleans and purifies the air and surfaces. • Naturally cleanses the body and aids in digestion. • Supports healthy respiratory function. • Diffuse to promote a positive mood. • Take internally to assist with seasonal respiratory discomfort. • Add Lemon oil to a spray bottle of water to clean tables, countertops, and other surfaces. • Lemon oil makes a great furniture polish; simply add a few drops to olive oil to clean, protect, and shine wood finishes. • If you are worried about keeping bugs off of your body, rub or spritz Lemongrass oil on your skin before you go outside. • If you want to utilize the powerful flavor of Lemongrass essential oil, consider adding a few drops to entrees or meat dishes. • Add 1–2 drops to water, citrus drinks, or veggie caps to support healthy immune system function. 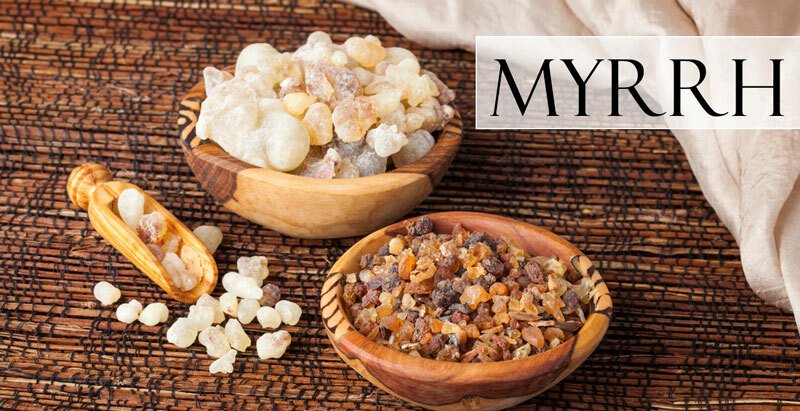 • For an effective mouth rinse, combine one drop of Myrrh oil and two ounces of water. Gargle this combination for 30 seconds for an extra clean feeling. • Take one drop daily to maintain healthy immune function. • Add one to two drops to a veggie capsule to support healthy respiratory function. • Put one drop in place of dried oregano in spaghetti sauce, pizza sauce, or on a roast. • Put 10 drops in a 16-ounce spray bottle with water for a surface cleaner. • For a smooth and glowing complexion, apply one to two drops of Patchouli essential oil to your face. • To obtain the mood-harmonizing properties of Patchouli, apply one to two drops of Patchouli to your neck or temples or place three to four drops of Patchouli oil in the diffuser of your choice. • Helps reduce bloating, gas, and occasional indigestion. • You can add a few drops of Rosemary oil to a glass of water to support healthy internal organ function. • Combine Rosemary, Frankincense, and Epsom salt into your bath for a rejuvenating experience when you are in need of a little “me” time. • Inhale Sandalwood directly from palms or diffuse to lessen tension and balance emotions. As part of my series of articles on gut health, here is a short list of foods you should eat, and foods you should avoid, if you are concerned that you may be suffering from 'Leaky Gut Syndrome'. In today’s fast-paced world, it is very difficult to keep a balance between mind, body and soul. These tips are aimed at helping you to achieve this goal by adopting some daily habits to boost your mind, body and soul. There are many pro-active measure that we can take to keep our brains healthy and protect ourselves from brain conditions, such as Alzheimer's. This article highlights some steps that you can take now, to protect your future. A recent study has concluded that we all need to be eating a whopping 10 portions a day in order to minimise the risk of cardiovascular disease, cancer and premature mortality in general. Here are 25 easy tips to help you achieve your nutrition targets.